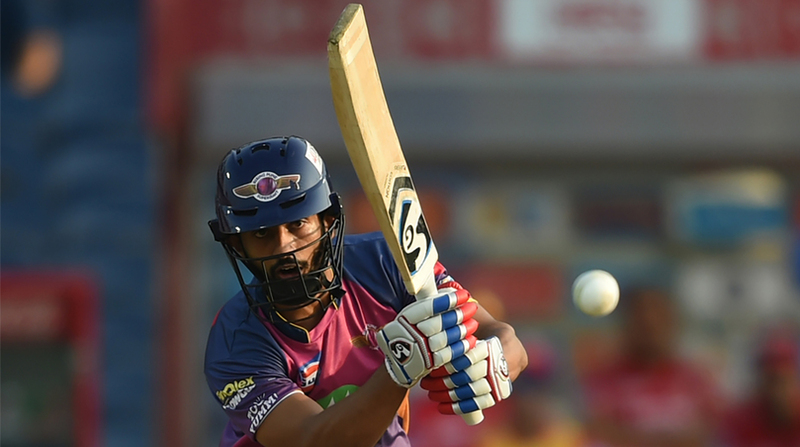 Maharashtra batsman Rahul Tripathi's "Supergiant" effort in the league stages guided Pune to the final of the Indian Premier League (IPL), which he has described as a "dream experience". Tripathi, who failed to get going in the first qualifier against Mumbai Indians, after getting out for a duck, however, pledged to back his instincts in the IPL final in Hyderabad on Sunday. Tripathi's story started with going for the trials held by IPL franchise Rising Pune Supergiant (RPS) at the DY Patil Stadium in Mumbai, where he slammed a few big shots and was drafted into a squad that had a new captain in Smith. In 13 matches, the right-handed opening batsman has compiled 388 runs with 17 sixes and 43 fours, besides single-handedly taking his team past Kolkata Knight Riders in a league stage game at the Eden Gardens, making 93 off 52 balls along the way. After a dismal domestic season, where he could manage just 185 for his state side, the 26-year-old left all that behind once he was picked by RPS. When asked about his experience with the Pune franchise, Tripathi had a prompt reply: "For me it is just a dream experience and I am extremely thrilled to play with and against world class players." "It's been a pleasure to train and learn under the guidance of top notch players like Steve Smith and MS Dhoni. The journey till here has been exhilarating and I look forward to play with the same spirit in the final," he added. Pune had a dream run in the later stages of the IPL to be positioned at the second spot in the standings before beating Mumbai Indians in the first qualifier to reach the final. When asked how he had dealt with the loses which the team suffered in the early stages of the tournament, Tripathi said: "Even after being on the field for so many years, it is difficult to accept loss. But what is more important is to wake up and hit the field with the same enthusiasm." "My biggest motivation post a loss is to train and practice hard enough to erase the loss by winning the next match. Also, I strongly believe that sometimes losses prove to be a stepping stone to success," he added. Commenting on his diet and fitness regime, Tripathi recommended 'Too Yumm!' wheat thins and fox nuts — the new products launched by RPS owners RP Sanjiv Goenka Group. "Eating healthy and exercising is the best way for an athlete to stay fit and perform at his/her best. It is important for a sportsperson to choose the right nutrients to build muscle and select the right food to help repair injuries. Protein and fibre are essential to include in a sportsperson's diet," he said. "In addition to wholesome meals, healthy snacking is also a great choice to ensure your body get the right amount of supplements throughout the day. 'Too Yumm!' is healthy alternatives that gives a boost and also the required energy to sustain long hours of hard work. "If you maintain a healthy diet and mostly importantly believe in yourself, you can conquer the game," he signed off.